Turkey’s President Recep Tayyip Erdogan threatened to reinstate the death penalty in response to the failed coup on July 15. It’s been over 30 years since Turkey lawfully executed anyone, and in 2004, pursuant to a constitutional overhaul predicated on Turkey’s hopes of joining the EU, capital punishment was officially taken off the books. But the coup attempt emboldened Erdogan and other hardliners in the AKP, Turkey’s ruling political party that has origins in religious fundamentalism, and which at times seems increasingly ambivalent to the EU. Despite monetary reforms that opened the economy, reduced national debt and increased personal spending, the AKP has dragged its feet on human rights. It has blocked social media sites, curbed the sale and consumption of alcohol, and flirted with the idea of criminalizing adultery. It sacked judges and detained journalists. It tortures prisoners. The accession process nonetheless plodded along, showing that enough members of the EU, tentatively at least, believed Turkey would eventually come around. That bet was risky from the start, and the AKP gave Europe few assurances after the coup attempt when it summarily removed or detained more than 80,000 people from government, military and civic institutions – including relatives of individuals the AKP suspected of sympathizing with coup supporters. That number continues to grow. Turkey declared a state of emergency on July 20, followed by an announcement that it would suspend both the International Covenant on Civil and Political Rights [ICCPR] and the European Convention for the Protection of Human Rights and Fundamental Freedoms [ECHR]. So what does all of this mean for the death penalty? Human Rights Commitments. Turkey is a party to both the ICCPR and the ECHR. The substantive rights protected by these instruments overlap to some extent. The ECHR defines a narrower set of rights than the ICCPR, however, but is somewhat easier to enforce. Neither instrument expressly prohibits the death penalty, though both recognize a fundamental “right to life,” and prohibit “inhumane or degrading” punishment. 2. Human Rights Protocols. A Protocol is a legal document that establishes additional rights and obligations beyond what’s covered in the underlying treaty. Think of them as an addendum, a supplement, or a side agreement, that signatories to the main treaty are free to ratify or reject. They’re sometimes the only way to address controversial issues – like the death penalty – without sacrificing the broader consensus reached by a group of States. Three different Protocols to the ICCPR and the ECHR expressly prohibit the death penalty, and Turkey is a party to each of them. 3. The 2nd Optional Protocol to the ICCPR. Turkey signed this Protocol in 2004, in response to an EU directive to abolish capital punishment. By doing so, Turkey agreed to a moratorium on executions, and promised to repeal the death penalty under domestic law. Turkey amended the Constitution that same year, removing a provision that had authorized capital punishment and thereby prohibiting its enforcement even in response to a national emergency. It ratified the Protocol in 2006. 4. The 6th and 13th Protocols to the ECHR. 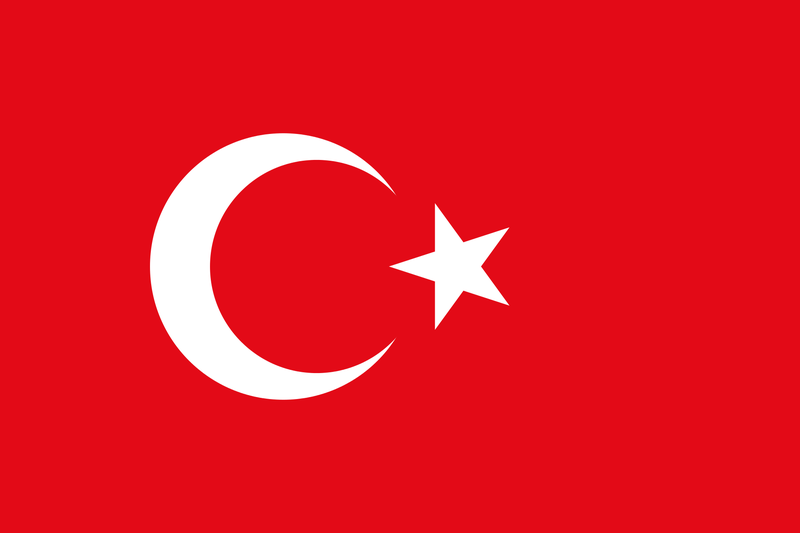 In 2003, Turkey ratified the 6th Protocol to the ECHR, which abolished the death penalty under peace-time conditions, but nonetheless authorized it “for acts committed in time of war, or of imminent threat of war.” In 2006, however, Turkey ratified the 13th Protocol to the ECHR, which prohibits capital punishment “in all circumstances.” Importantly, Turkey ratified the ICCPR and the ECHR Protocols “without reservation,” meaning that it agreed to comply with their express terms under any and all applicable conditions. 5. The Protocols Effectively Amend the Treaty. The death penalty Protocols are so widely accepted that they are considered binding statements of customary international law, at least against countries that have joined the underlying treaty. In 2010, the European Court of Human Rights ruled that the ECHR impliedly prohibits the death penalty under the right to be free from “inhuman or degrading punishment.” International law experts also contend that the ICCPR prohibits the death penalty under its “right to life” provision. In either case, only certain rights are derogable, and both the “right to life” and the prohibition on “inhumane and degrading” punishment (including the death penalty) are expressly non-derogable. Moreover, no derogation is allowed under the Protocols. 7. There’s No Going Back. With derogation off the table, Turkey might look to formally withdraw from the Protocols, the ICCPR or the ECHR all together. But it can’t. First, none of the Protocols contain a withdrawal provision that would allow Turkey to rescind its ratification. In fact, the drafters of the 2nd ICCPR Protocol debated but ultimately rejected language that would have allowed a party to withdraw. Second, withdrawal from the ICCPR itself is not permitted as a matter of customary international law because, as the Human Rights Committee declared, the rights enshrined in the Covenant belong not to the signatory State, but to “the people” living in its territory. Finally, as to the ECHR, withdrawal is lawfully permitted but not politically feasible because it would forfeit Turkey’s membership in the Council of Europe. Despite contradictory messages Turkey has sent to the EU, its relationship with the Council of Europe remains a top priority. In fact, Turkey attributed its success in putting down the coup in part to the Council’s political support, and it continues to update the Council on actions related to the state of emergency. 8. Conclusion, and a Quick Post-Script: Given all of this, I don’t see how Turkey could authorize the death-penalty without violating its human rights obligations. So what happens if it revives the death penalty anyway? There are a couple things to consider. If Turkey reinstates the death penalty, due process standards embodied in international agreements and in Turkey’s own Constitution would prohibit the execution of individuals involved in the attempted coup. Whether Turkey would comply with those provisions is a separate question. Also, whenever human rights are involved, the problem is not only establishing what the law is, but finding a way to enforce it via domestic law in Turkey, or through the international system. Watch for updates on both of these issues. These legalisms only matter if Turkey [read “RTE”] actually CARES about European standards. Most observers start from the generations-long desire expressed by Turkish politicians to become ‘European’. They see deviation from this in RTE’s “couldn’t care less” conduct. The alternative is to start from the Ottomans’ centuries-long tradition as an Asian and Muslim Khanate. Then the century 1916-2016 appears as a Eurocentric and secular deviation, driven by the Ottomans’ defeat in WW1, and Mustapha Kemal’s restructuring of Turkish politics after it. A deviation that is now unwinding . . . . Indeed. This is Erdogan’s vision, which helps explain not only his posturing here, but broader developments – like why he keeps referencing Turkey’s historical claim to territory outside its present borders prior to the Treaty of Lausanne as a justification for military involvement in Mosul. Those links are not working. The referenced article is “Turkey’s New Maps Are Reclaiming the Ottoman Empire,” at Foreign Policy.com.